In recent decades there have emerged some new trends in gardening. Many of them are oriented to ecology and harmony with nature, and some, for example, conceptualism, surprise us incorporating materials contrasted with the natural environment. One of the most innovative gardening solutions is vertical gardening, patented as early as 1988. French botanist and landscape architect Patric Blanc is the inventor of the vertical garden, also known as the living (or green) wall. Due to the development of low-cost technologies in the beginning of this century hundreds of landscape architects and gardening companies are engaged in the design and installation of green walls. Unlike traditional gardens, they are largely left to grow as they may. Vertical gardens displays natural looking plant landscapes for well-being of city residents. From the 18th century the creation of parks in manor residencies became increasingly popular in Lithuania. Trakø Vokë manor residence with the park designed by the French landscape architect E. Andre is a good representative of landscape style parks of the 19th century. The ensemble has passed through the dramatic shifts of the 20th century and is opened to the public nowadays. The purpose of the paper is to identify the effects of shifts of historical periods on Trakë Vokë manor residence. The knowledge of changes of visual quality and spatial structure as well as aspects of cultural value caused by different historical shifts will enable formulating the guidelines for management and maintenance of attractive and usable park for the present and future generations. Sprawl of urban areas poses an extinction threat for valuable relics of the rural environment. This problem led to the goal of the article – formulation of the conceptual guidelines of integration of the relics of rural environment in urban development. They focus on modern heritage management ideas: heritage conflict management, principles of reconciliation of the dilemmas, and ecomuseum concept and include the recommendations for the management of the character and dispersion of the social processes and for the management of the quality and quantity of urban and architectural innovations in the relics of rural environment and in their environment. During 2004-2011 in park Verkiai of Vilnius city on 35 woody plant species belonging to 28 genera, the 55 most common pathogenic fungi species were found. Most hazardous fungi were Armillaria mellea, Fomitopsis pinicola damaging Tilia cordata, Phaeolus schweinitzii – Larix decidua, Lirula macrospora – Picea pungens, Ophiostoma ulmi – Ulmus glabra. The most common pests: Cameraria ohridella, parazitizing common horsechestnut (Aesculus hippocastanum), Ips typographus – common spruce (Picea abies), Ips graveris – wild pine (Pinus sylvestris), Scolytus scolytus – wych elm (Ulmus glabra). Street trees are one of a city’s most important natural assets. Street trees are an important urban element that can transform the city’s streets and provide environmental, aesthetic, cultural and economic benefits. Street trees should possess strong apical growth, strong branching angles, an overall high aesthetic value, and predictable growth rates and, in general, have a potential for a long life span. Unfortunately, all the cities in Turkey haven’t management plan of urban street trees. However, there were many problems and mistakes about design and practices of urban trees in terms of TS#8146 standards. According to observations in Turkey, these problems and mistake are selection of mistake trees, no project of design, planting close spacing, don’t take consideration into aesthetics values, using of allergic trees, insufficient planting pit, negative effects by urban people and insufficient care and cure studies. Comparative analysis of the agricultural farming lands, situated in the picturesque Dzûkai upland of Aukðtadvaris regional park of the south-eastern Lithuania, declared in 2008 and 2011 as well as payments received for areas declared is presented in the article. Almost entire territory is situated in Trakai district, only the small north-western part belongs to Prienai and a Kaiðiadorys districts, therefore Paluknys subdistrict, situated in the south-eastern part of Trakai district and not falling into the protected area, is chosen for comparison purposes. The article presents accuracy evaluation of spatial data set of plantations in Dane Square in Klaipeda town. It was used information from Klaipeda town plan of single green-plantations and new information obtained in the 171 plantations measurements, spatial data set was generated for visualization. The results show that up to 148 plantations have errors of deployment: 82 % of plantations have accuracy up to 2 meters, 5 % of plantations have accuracy of 2-3 meters. More than 12 % of plantations have accuracy as higher as 3 meters. In 2006 – 2011 around 34 parks, squares, oak-woods and other recreational greenery created during revival period were explored and evaluated. More detailed analysis was performed in 13 parks of this period. According purpose, architectural peculiarities and character of usage greenery of this period can be divided into parks, squares and recreational zones of towns, small towns and settlements, greenery planted in honor of the millennium of Lithuania (parks and oak-woods), decorative greenery of various public institutions and organizations and private decorative greenery. The majority of the greenery of this period have mixed or irregular plan structure. Geometric plan is specific only to Zalgiris Park (Kaunas reg.). 80 species and cultivars of introduced ligneous plants are registered in the analyzed greenery (19 are Pinophyta, 61 are Magnoliophyta) which belong to 18 families (Pinophyta – 2 families, Magnoliophyta – 16). Recreation Park near Ilgis Lake of Ignalina town, Recreation Park near Belys Lake of Svencionys town, Dauniskis Lake Park in Utena, young Lithuanian Millennium Park near Lake Germantas in Telsiai and Nemunas Island Park are the most valuable parks from landscape architecture point of view. Objects of small architecture in areas of urban recreational greenery are the main condition of their social viability. They interacting with other environmental components and elements of green spaces perform aesthetic compositional (formation of greenery spatial structure), ergonomic (adjusting of greenery for various recreational activities: cognitive, entertaining, sports and etc. ), creation and protection of place identity and ecological functions. There is a lack of objects of small architecture in the areas of Lithuanian urban recreational greenery. They are poorly maintained and unrenovated. New objects are often standard, without taking into account aspects of contextuality and specificity, ecological requirements properly. The aim of the article is after comparison of management models of Lithuanian and foreign public green spaces and assessment of society needs to establish design criteria of objects of small architecture in urban recreational green spaces important to their social viability – optimal usage and harmonious spatial expression. The article analyses the urgent things of opportunities for experience design. An experience market based on a satisfaction of a customer need for experiences is analysed. The purpose of the article is to determine the features of the experience design. Experience significance for tourism industry, opportunities and tendencies of landscape creation for entertaining use are explored in the article. The main object of study is stylistic and planning features of new and reconstructed parks design projects. Park renovation projects such as Sarkanmuizas Park in Ventspils or Priezutakas in Garkalne, submitted during recent years, are analyzed there. 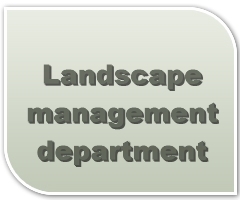 Conclusions are drawn on factors affecting copmpositional and spatial planning of parks. This article deals with topicalities of urban public spaces design. The Lithuanian and foreign literature about issues of urban public spaces design is analyzed; urban architecture and garden art styles evolution and modern architecture and landscape design trends are briefly overviewed. Today, Lithuanian Law defines public spaces as “a shared territory: land with the parks, squares and other green areas on it or they are planned to be installed in this land”. In each period of social society, a significant impact on the new cultures and styles is made by new technologies, scientific discoveries, economic and social dynamics. The traditional system of public spaces in the city is constantly changing in terms of quality, structure and quantity. With formation and the development of the city, it becomes more complex, multifunctional and multilayered. The work is intended to study the possibilities for the protection and management of Kaunas Azuolynas Park. The supporting part of the work encompasses the determination of the circumstances of the formation of Kaunas Aþuolynas, the review of biological variety, the analysis of the urban situation in Kaunas city, exploration of characteristics of valuable parts; provisions of research results application are formulated while preparing pedestrian and bicycle paths (and their adjacencies) values protection and management (schedule provisions for provisional Regulation on the protection). The study was performed in green areas of Klaipëda streets in July – September of 2010. This work assesses incidence of linden leaves fungal diseases and influence of precipitation amount and air temperature on the incidence of them. Predominant species of linden such as small-leaved linden (Tilia cordata Mill. ), large-leaved linden (T. platyphyllos Scop.) and common linden (T. europaea L.) have been assessed. There were identified linden leaves diseases: sooty mold, cercospora leaf spots and leaf spots disease. Investigation shows that small-leaved and common lindens were the most labile for influence of phytopathogens. Incidence of sooty mold dependeds on air temperature, leaf spot diseases incidence depended on amount of precipitation. Research of epiphytic lichen was performed from 2004 to 2005 in localities with different urbanisation levels: in park, forest, and in the city green areas. A total of fifty-one (51) species of epiphytic lichen was found on fifty (50) researched trees. The highest number of lichen species, forty-two (42), was found in Rietavas Park. Fourteen (14) species of lichens dominated in all three (3) habitats. The air pollution level in Rietavas Park was found to be low (AQV value was 43.5), on trees of the streets of Klaipeda city the average air pollution (AQV = 28.8), and in Giruliai Forest, low air pollution (AQV = 36.8). Lithuanian urban landscape becomes more and more urbanized, little place remains for green spaces, therefore, in city‘s there atmosphere there are constantl dust, gases and other pollutants, which make negative impact on the population‘s health and quality of life. This problem especially is revealed in large cities. An overview of research is provided in this article, and some Lithuanian cities aspects of sustainable development, through associating them with the new use opportunities of landscape technology are analyzed on its basis. In implementing the goals of human sustainable development, the leading role belongs to the power engineering and renewable energy sources. The fastest growing wind power in Lithuania makes impact on the nature and landscape ambiguously. The analysis of the prospects for wind power development revealed that the coast is the largest wind power resource, but in order to evenly load the electrical networks, it is appropriate to develop the wind-power plant parks in the all territory of Lithuania. Development of wind-power engineering should be an integral part of construction of the electrical network connections with Sweden and Poland. Offshore wind-power engineering requires large investments and researches and, therefore, it should be developed according to the drawn up scheme, assessment of environmental impact, and the development of infrastructure. In landscape design and architecture there are used many various tools to illustrate your thoughts, ideas and to convey them on the construction and the form of different objects. For this purpose appropriate skills are required and they in principle are developed by drawing, painting, descriptive geometry, construction drawing and computer graphics. While studying graphic literacy, the students learn about the principles and methods of representation, and on their basis, they are able to create, master and perfect their graphic „language“. The very term „Landscape graphics“ refers to what is focused on developing drawing and graphic skills. There are several graphic‘s products, that are required for landscape design: analytical diagrams of the area, conceptual plans, detailing sketches, projection plans, breakdowns, visual images. The main analyzed problem is the choise of the time and quality optimal methods, which promote proffesional skills of the landscape development, and the solution of methodological issues in overall educational process. Also the present study actualities, associated with landscape‘s specialist artistic, creative, composition, spatial systems thinking and projection skills, are discussed in the paper. Vermicopmost impact on plant development research was carried out at Vezaiciai Branch of the Lithuanian Research Centre for Agriculture and Forestry during 2010–2011. There are two species of plants: Triticum aestivum L. and Viola wittrociana L. Vermicompost fertilization was performed locally – inserted together with seed during the time of plant sowing. Different rates of vermicompost (0.25 t ha-1, 0.5 t ha-1, 1.0 t ha-1, 1.5 t ha-1) did not have an essential influence on Triticum aestivum L. biometrical indicators (number of germinated plants, root number). Viola wittrociana L. plants grew bigger number of leaves in essence when they were fertilized with 1.5 t ha-1 rate. The biggest 1.5 t ha-1 rate of vermicompost slightly enhanced mobile potassium, total nitrogen, total carbon, exchangeable calcium and exchangeable magnesium amount in the soil. City greenery along the streets are special green plantings which grow in most extream conditions. Their condition differs from other city green plantings (recreational) because the extream conditions are also special to pests and diseases agents. The conditions effect some of the pests and diseases agents positively and some adversely. The variety of species of trees and bushes which grow along the streets is not big. In Lithuania it is mostly Tilia (L.), Aesculus (L.) and Acer (L.) genus trees. The amount and spread of these trees pets and diseases agents couses phytosanitary condition of street plantings. During the last 15 years these patogenenical organisms were most observable: Schizophyllum commune, Guignardia aesculi, Erysiphe flexuosa, Cameraria ohridella, Caliroa annulipes. The recreational greenery of Alytus city was selected as the object for this study. This city is a leader in Lithuania in handling and adjusting green arrays for citizens’ needs. According to literature sources, the harmony of recreational greenery with the surrounding environment was assessed. In 2009–2011 the estimation of the state of woody plants grown in Alytus recreational greeneries was carried out. This article reviews the importance of sub-tropical plants to the environment and human health. Investigations were carried out in 2005-2011 in VMU Kaunas Botanical Garden; article analyzes exhibited collection of subtropical plants from 47 species of 20 families, the use of plant characteristics and growth prospects for the green-planting of an interior and their cultivation in a room or winter garden; provides description of a cool interior suitable for growing flowering, fruit leading ornamental plants. The urban space as a united spatial organism is dynamic and finds itself in continuous process of changes. According to the growth of the economic basis and following the development stages of the urban space, it is clear that the urban space has its specific structures of plan and dimension with artistic compositional images. They also are subjected to some changes. Moreover, the architect is to evaluate definite regularities of urban space both in the composition of urban space and in the organizational art of the general space. While using new functional and compositional solutions, the context of forms and synthesis based on the scale and harmony of the cultural historical urban space should be sought. Especially it is to refer to the present new science of construction style, which in the language expression is rather similar, but often the preservation of the national identity is forgotten as regards to the introduction of green landscape space elements in the new building.